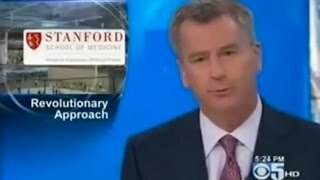 The first kidney transplantation in California was performed at Stanford in 1960. The Stanford Kidney Transplant Program started in 1991. Since its inception, Stanford doctors within the program have performed more than 1,200 kidney transplants. From the outset, our goal has not only been to deliver the finest care possible, but to also pioneer new treatment methods that improve patient outcomes both short- and long-term. Experiencing a kidney transplant operation is, without question, an intensely personal experience—physically, emotionally, even intellectually. The quality of care you receive, and how that care is delivered, is critical to the success of that transplant. Every kidney transplant patient who comes to Stanford Health Care for care is different. But one thing they all have in common is the personal—and personalized—care they receive here. The quality of our care is high because we tailor treatment to each individual patient. We provide intensive education for patients, their families and caregivers before the procedure, and schedule more visits after surgery to measure treatments and progress. This exceptional level of personal care has once again made Stanford Hospital's Kidney Transplant Program the only center in the nation to achieve statistically higher than expected results in both patient and kidney survival at the one- and three-year marks after transplantation. The care we provide takes into consideration far more than the physical effects of the procedure. We know you, your family and caregivers will face challenges emotionally, too. And we want to ensure that you all have the full support of your transplant team, and access to all the resources at your disposal. That way, everyone involved can take every measure possible to deliver an uncommon degree of care, in order to achieve a successful outcome. Stanford doctors are improving patients' lives by developing clinical techniques to eliminate the need for lifelong immunosuppressant therapy after transplantation. Two sisters joined a small clinical trial at Stanford with the goal of training Meg Aldruino's body to accept her sister's donated kidney as if it were her own. Combined Blood Stem Cell and Kidney Transplant of One Haplotype Match Living Donor Pairs. As you explore kidney transplantation, please make sure you have a dedicated caregiver, commit to following your transplant team's instructions, and secure health insurance to cover treatment and follow-up care. Call us to speak with a transplant recipient or living donor mentor. We can also connect you with local support groups. Potential donors can begin the evaluation process by contacting our living donor coordinator at 1-650-736-0795. Your first appointment will include a group education session and routine medical tests such as chest x-ray, EKG, and blood work. At your second appointment, you will meet with a transplant nephrologist, transplant coordinator, and social worker. This appointment will last 2-4 hours. You may bring a family member or friend to one or both of your appointments. You may bring potential donors to your second appointment. Bring a complete list of medications you are taking and dates of any hospitalizations or blood transfusions to both appointments. We want to assure you that we'll provide your patient with the same level of personal care you give them. Because of the seriousness of the condition, we do everything we can to give your patients rapid access to our program. Throughout the patient evaluation process we keep an open line of communication between you and our team to keep you informed of your patient's status, ongoing care and progress toward finding a donor. Fax a referral form with supporting documentation to 650-723-3997. Once we receive your Referral Form, one of our patient care coordinators will fax a confirmation of receipt to your office. Your patient will be contacted and scheduled for a group teaching session and the first evaluation appointment upon insurance clearance. You and your patient will be informed in writing about our selection committee’s recommendations. As your patient's case progresses, we'll provide you with regular status updates, and you're always welcome to call your patient's Stanford physician to discuss the case. To make an appointment with one of our kidney transplant specialists, call: 650-725-9891.